Sources within the notebook industry allege that Intel has rejected a request from PC makers for a steep 50 percent discount on CPUs designed for its Ultrabook specification, even as manufacturers struggle to compete with Apple's MacBook Air on price. Notebook player insiders said that partners for Intel's new thin-and-light initiative had demanded a 50 percent price cut, but Intel has agreed to provide just a 20 percent discount to "first-tier notebook players," DigiTimes reported on Tuesday. The sources went on on to say that the high CPU price, attributed to Intel's insistence on maintaining its "leading position in the supply chain," will impede progress and stymie efforts to put forth the Ultrabook standard as a counter to competing devices, such as Apple's MacBook Air. According to the report, Intel's Oak Trail chips for tablets cost $95 and are "far less attractive" than Nvidia's Tegra 2 processors, even after a 70-80 percent discount. "Although players such as Asustek Computer and Acer have launched models with the platform for the enterprise market, their machines' high price still significantly limit their sales," the sources were noted as saying. As for Ultrabook CPUs, Intel has agreed to provide marketing subsidies in addition to its modest discount. The 20 percent price cuts reduce the Core i7-2677 to $317, Core i&-2637 to $289 and Core i5-2557 to $250. Intel is said to be concerned that further reductions in price would affect its 60 percent gross margins. Intel has taken a more involved role in helping manufacturers reach the sub-$1000 goal for new entry-level Ultrabooks. Earlier this month, the company produced a set of reference bills of materials ranging from $475 to $710 to show that lower price points are possible. The chipmaker has even backed the Ultrabook standard with a $300 million fund from its investment arm that will invest in Ultrabook-related technologies. But, Ultrabook makers have reportedly struggled to compete with Apple's stream-lined supply chain. For instance, competitors have had to search for alternatives to the magnesium-aluminum chassis that Apple uses in its MacBook Air notebooks. According to one report last month, some companies have found that actual production costs for Ultrabook laptops are roughly the same as MacBook Air retail prices. Asustek Computer is hoping to release two Ultrabook models, an 11.6-inch UX21 and 13.3-inch UX31, later this year. While the UX21 will reportedly retail for $1000, the UX31 will cost $1600, a $300 premium on Apple's $1,299 13.3-inch MacBook Air. Intel first announced the Ultrabook specifications in May, noting "tablet-like features," form factors less than 20mm thick and the sub-$1000 price target. 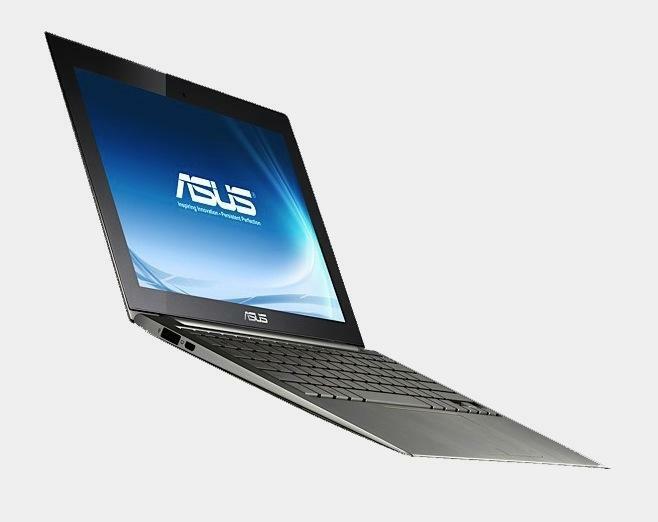 The company hopes to achieve a 40 percent consumer laptop market share by the end of 2012. However, some analysts were less than impressed by the standard, calling it simply a "makeover" of the faltering netbook category. Meanwhile, Apple continues to see success with its ultra-thin MacBook Air. Last October, the company added an 11.6-inch model and dropped the starting price to $999. In July, Apple again updated the line, adding Sandy Bridge processors, Thunderbolt I/O and backlit keyboards. Like its predecessor, the new MacBook Air was an instant hit.